The Business of Sports with Andrew Brandt (@AndrewBrandt) takes listeners inside the game with in-depth interviews and analysis by one of the leading voices in the field. 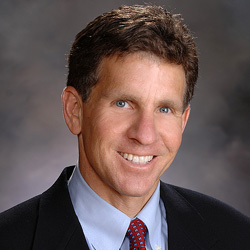 Andrew Brandt spent a decade each as both a player agent and as Vice President of the Green Bay Packers and is now a weekly columnist at TheMMQB.com, and the Director of the Moorad Center for Sports Law at Villanova University. Brandt, who provides insight and analysis to the Ross Tucker Football Podcast every Wednesday, now hosts his own program, interviewing sports industry leaders making news in the sports business. Brandt will pull back the curtain on the inner workings of sports with league and team executives, agents, lawyers, CEOs and other top sports professionals. The Business of Sports with Andrew Brandt will inform, educate and entertain listeners with truly unique perspectives not heard anywhere else.